Did you know barbell is the most effective and efficient tool for building muscle, while allowing you to make outstanding strength gains? Pair your barbell training with kettlebell training and you've got a winning combo guaranteed to get you stronger and take you to a whole new level of physical transformation – hitting your fitness goals. 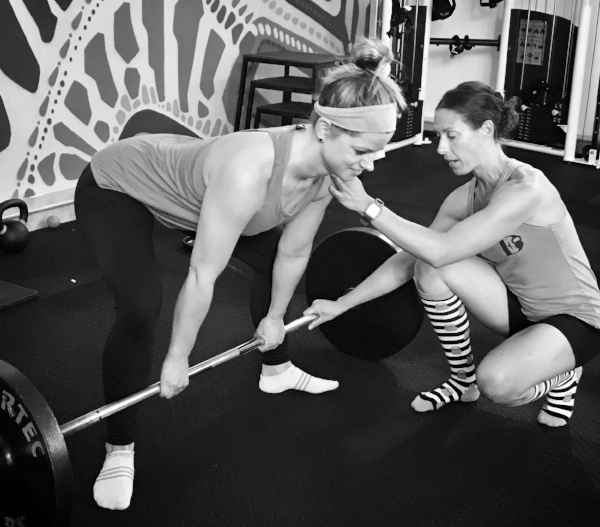 There are only four Certified StrongFirst Barbell Instructors in the Twin Cities Metro area – Coach Ericka is one of them. Adhering to the education and principles of the StrongFirst Lifter (SFL) curriculum, EDK Barbell Coaching follows a high standard of strength and skill. You will learn how to effectively and safely execute barbell lifts (like a Boss) with in-depth instruction and an individualized progressive program. Quality over quantity in every session – never compromising technique and always prioritizing the importance of a high-caliber program. A dedicated strength training routine empowers your commitment to keep your goals in check and exceed them. Let's get you to the bar and let your transformation begin. Limited to Private Coaching and Duo–Coaching only – no classes. EDK currently offers individual and semi-private coaching sessions specific to YOUR strength training goals. Are you new to Barbell and eager to learn the basics? Are you a regular lifter wanting to refine your technique and hit that PR? Are you interested in becoming StrongFirst Barbell Certified and looking for an SFL Certified Instructor? Coach Ericka has you covered! Put your time, effort and energy in the right place. EDK treats your personal and financial investment seriously – guaranteed. Visit the Private Coaching page for investment options and find the ideal fit for you.